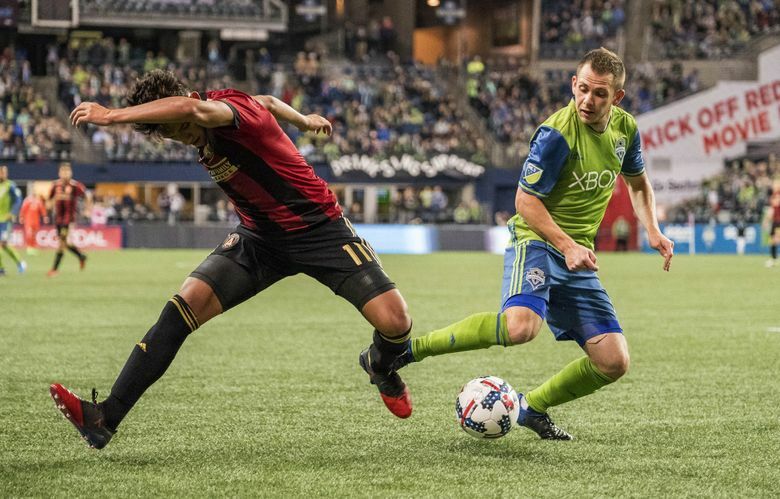 With several starters resting, hurt or sick on both sides, Friday's game between the Sounders and Atlanta United FC got more interesting once the second half substitutes came in. A sweaty, well-worked Gustav Svensson was talking postgame in the Sounders locker room about “the language of soccer’’ being very much about instinct and adapting to situations. Svensson’s team needed plenty of that Friday night when, already shorthanded in the back, they lost defender Chad Marshall to an undisclosed illness just before kickoff. 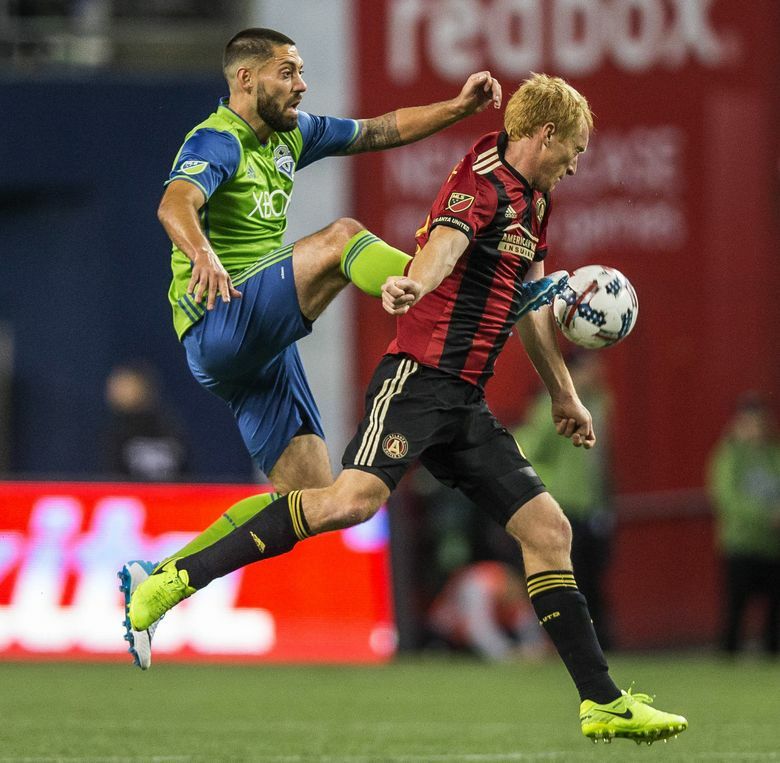 But Svensson and others clamped down, adapting to the back line presence of newcomers Tony Alfaro and Jordy Delem and holding the high-flying Atlanta United FC attack to a scoreless draw. This wasn’t your typical game between a defending MLS Cup champion playing at home against an expansion side. For one thing, the Arthur Blank-owned Atlanta squad has spent big and often to produce one of the most lethal attacks in the league. 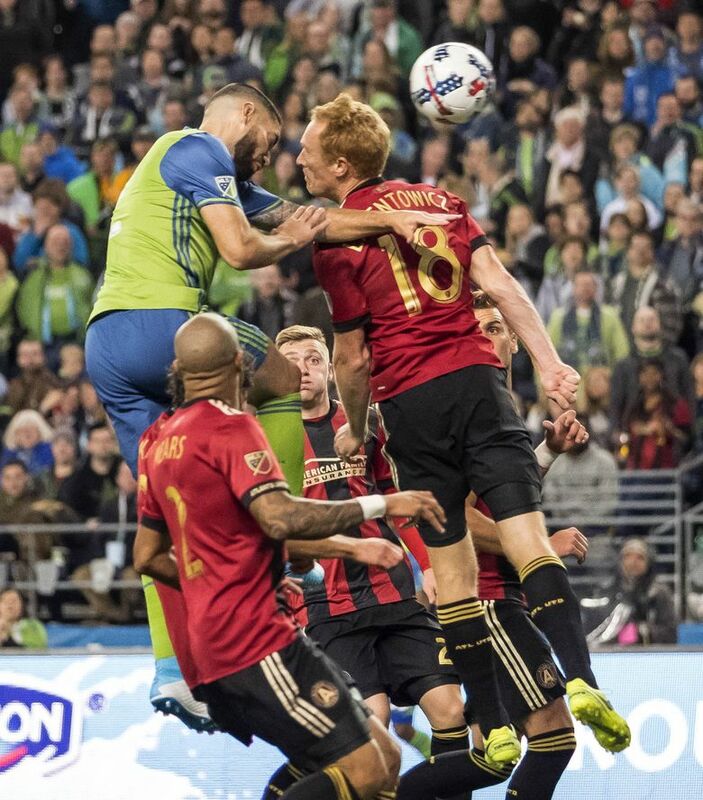 Atlanta had outscored opponents by a combined 10-1 its past two games and certainly didn’t look like an expansion club to the 40,182 fans at CenturyLink Field nervously chewing their nails at the end. Both teams had their chances in extra time, with late substitution Will Bruin nearly getting a header on a cross to the box. Moments after that, another late sub, Kenwyne Jones, nearly won it for Atlanta with a drive from inside the box that Cristian Roldan, who put in a yeoman effort on both ends of the field, dove in front of and blocked at the very last instant. The Sounders were helped somewhat by Atlanta missing half of its vaunted attacking foursome for the first half. United rested striker Miguel Almiron until the 65th minute because of his international duty the past week with Paraguay. That meant — with Josef Martinez already out due to injury — that only Hector Villalba and Yamil Asad were out there to start from arguably the league’s most feared foursome. 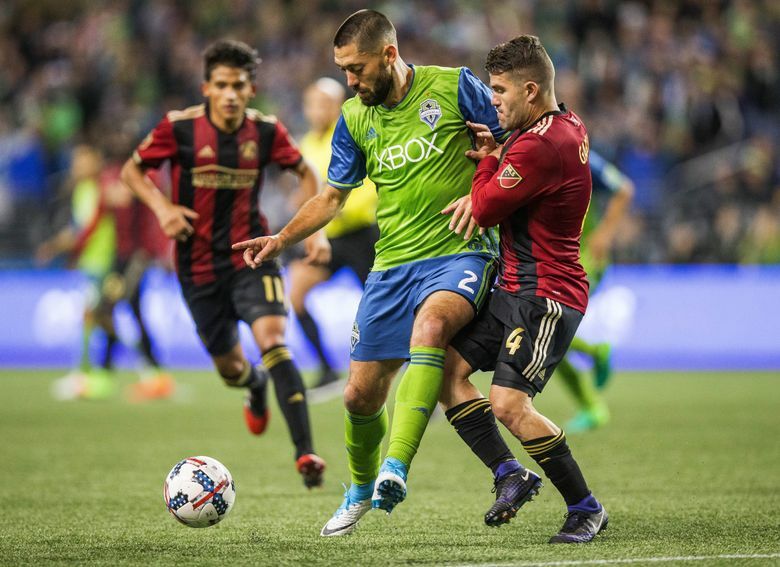 But the Sounders were also shorthanded beyond the defenders, resting forward Clint Dempsey in the first half after he’d scored four goals for the U.S. men’s national team in two games the previous week. Dempsey finally came on in the 57th minute, upping the pace of the game significantly and nearly opening the scoring just a minute later by heading a ball off the post. 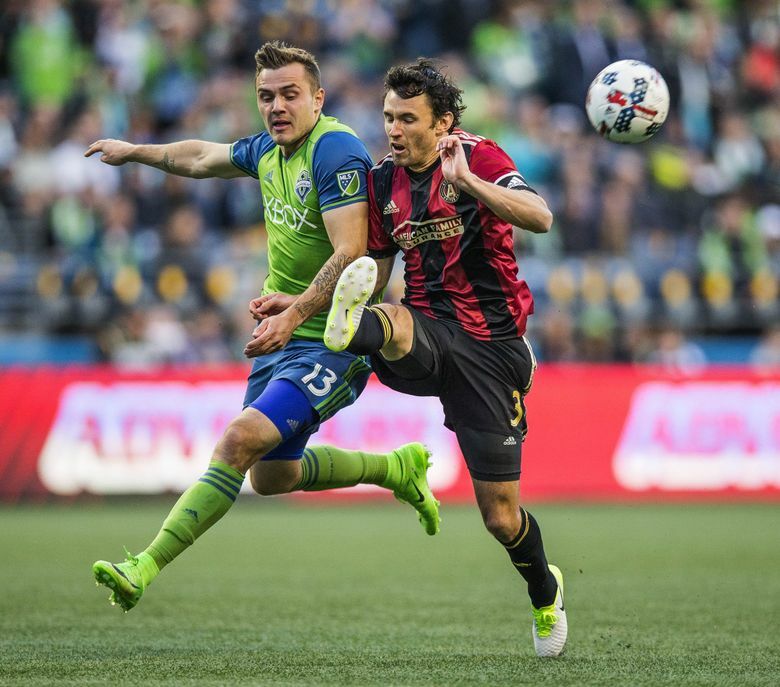 Jordan Morris had helped the Sounders push the pace the opening 10 minutes with a number of dangerous sprints leading to scoring chances, including a pass to Roldan right at the goalmouth that hit the midfielder’s chest and bounded away. But the story of this game was mostly a defensive one. 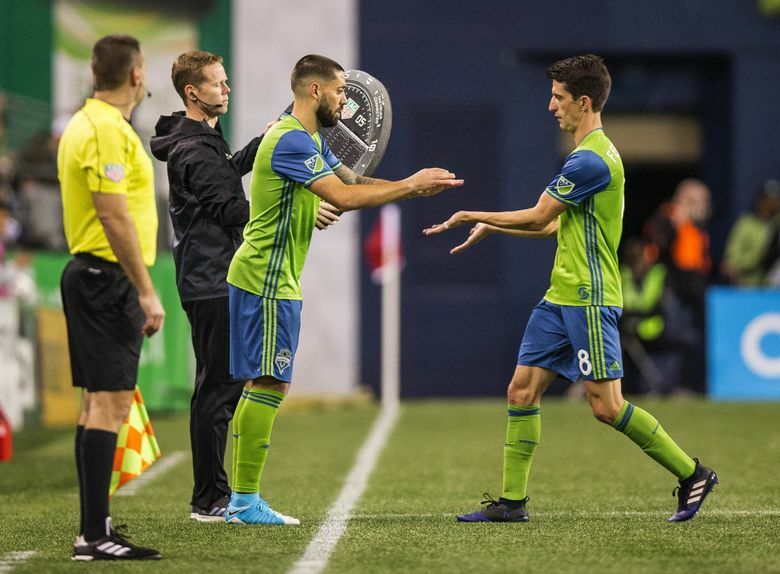 Svensson anchored the defensive side for a Sounders team already resting center back Roman Torres and right back Oniel Fisher before Marshall fell ill. 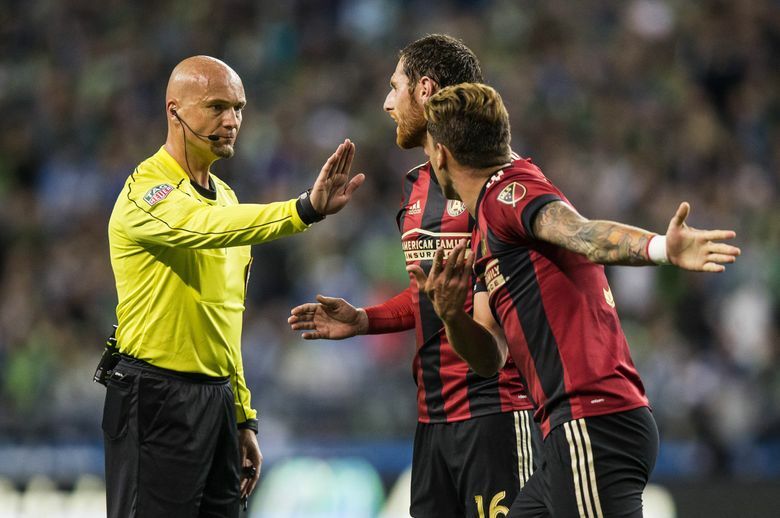 Newly inserted center back Alfaro had only a half-dozen MLS games under his belt, all last year, while Delem was making his debut at right back. Late in the first half, it was Svensson making a lunging, sweeping kick at a ball in the box and clearing it at the last instant. Moments later, with Atlanta pressuring dangerously up high, he dribbled the ball past not one, but two Atlanta attackers to move it from harm’s way. “Sometimes you have a red flag (in your head) telling you, ‘This is going to be a dangerous one,’ ’’ Svensson said. “So you either try to go deeper and kill the momentum, or you try to win the ball. That’s sometimes a tough decision, but you just have to go with what you believe in and do it 100 percent. 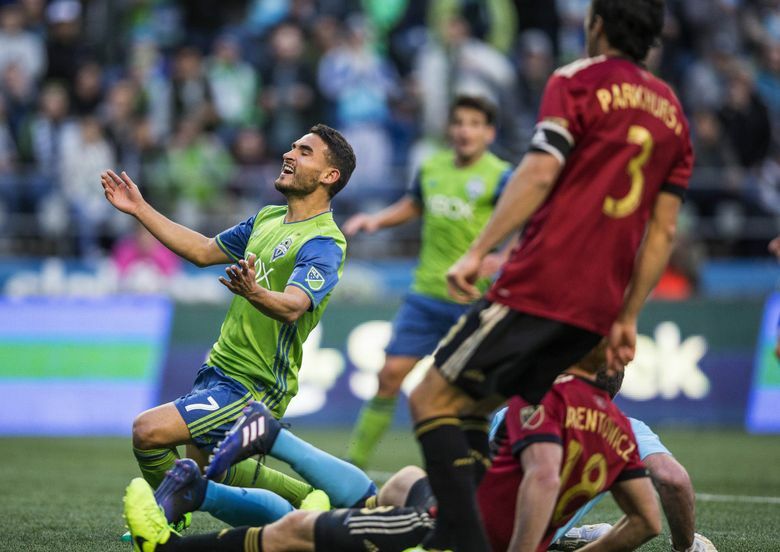 The Sounders were lucky to have Roldan get his body in front of the Jones blast in the game’s dying seconds. Sounders coach Brian Schmetzer would like to see his side be more aggressive with shots in close. But he was pleased with the way the team picked things up to compensate for the missing defenders. He said the midfield work by Roldan and Osvaldo Alonso was as critical as some of the back line play.